At the moment they are extremely popularNational wedding customs. 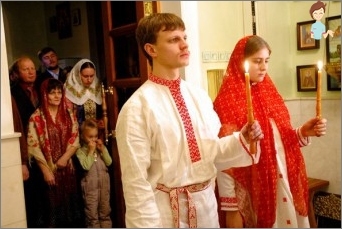 An increasing number of couples in love prefer to marry in accordance with the traditions of the Russian people. 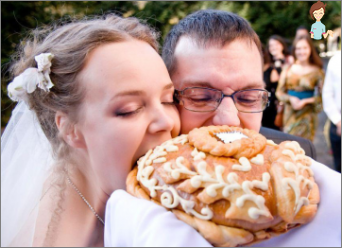 Therefore, it is interesting to consider more closely the peculiarities of a truly Russian wedding. In Russia, the wedding was always held with a specialSweep. Of great importance was not only the ceremony itself, but also preparatory stages. But, to the glory of bothering, the people from all over the nearest district took part in the festivities. Each tradition was given special meaning. For example, matchmaking made it possible to find out whether a marriage union between representatives of two families is possible. Conspiracy was necessary to clarify the conditions for the wedding, as well as determine the size of the dowry. The hen party and the bachelor party symbolized farewellYoung people with a free life, and allowed the last time to enjoy communication with friends. The wedding legalized the relationship between the young. The wedding night served as a reinforcement of the fact of the alliance. The wedding feast made it possible to celebrate a joyful occasion. By the way, the violation of the sequence of traditional stages could become the basis for recognizing the insolvency of the marriage union. Along with the mandatory stages, there wereCeremonies, which, if desired, could be neglected. For example, if a young couple is well-known and families live in the same locality, it was not necessary to hold a lookout or, on the contrary, seeing, collusion and matchmaking unite. And if the bride lived in another village, the bridegrooms became an important stage on which the decision on marriage depended. 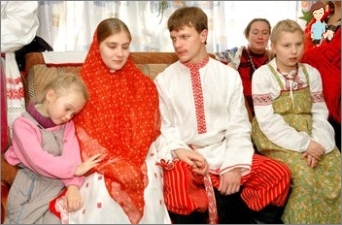 Although there was a general scheme, the wedding traditions of the Russian people differed depending on the terrain. So, in Siberia and the northern regions before the weddingThe girl was supposed to visit the bathhouse, bidding farewell to the girlhood, in Pskov province the bride and her friends met on the way to the groom's church and put paper flowers at his feet, always greeted with a loaf in the southern regions of the young. Naturally, the main characters of the ritesThe groom showed respect to the relatives of the future wife, and the bride, personifying in all its form submission to the groom's parents and the named one. But besides the main persons in the performance,Participation of a huge number of people: the parents of a young couple, close and distant relatives, friends and girlfriends, matchmakers, caravaniers, the manager of wedding celebrations. Unfortunately, at present not all of theClassical characters are used in the celebration. For example, long lost their special importance of the caravan, young, successfully married women with children, whose duty was to prepare a wedding caravan. No less important were the outfits. During the celebration, the bride changed clothes several times, thereby showing the status change. So, before the wedding, the funeral "Poster"Attire, at the wedding ceremony - a bright colorful or white dress, and after the wedding night the young woman wore a mandatory headdress. The groom attached a fly to his hat, a square handkerchief with embroidery, or a small bouquet, and put a towel on his shoulders, which, however, could also be used instead of a belt. At the heart of the festivities were reinterpreted ancient Slavic traditions, with the passage of time closely intertwined with Orthodox rituals. The bride and groom showered with grain, put on the fur turned inside out so as not to know poverty. It's funny that such ceremonies were accompanied by prayers addressed to the Mother of God, Holy Saints, Jesus. Modern traditions were born in the interval,From 19 to the first quarter of the 20th century. However, it should be noted that already in written sources of the 14th century there are descriptions of weddings with the use of characteristic expressions: "bride","wedding","Bridegroom","Matchmakers". 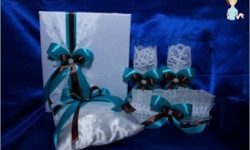 The definition of the functions of wedding officialsFully developed by the 16th century, at the same time there were established traditions in dresses and other paraphernalia. But, the wedding itself became mandatory only in the 17th century, and the people's rite began to be persecuted by the churchmen. In the time of Tsar Alexis Mikhailovich, in 1649,Even a special decree was issued, in which people's weddings were blamed. Those who listened were punished with batoga, and the musical instruments used during the festivities were broken and burned. 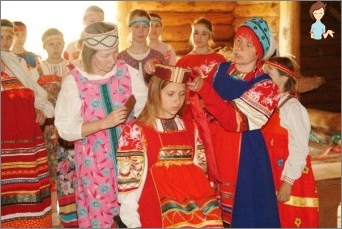 Unfortunately, many traditions of the Russian peopleAre lost irrevocably. 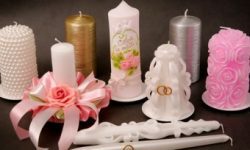 However, if the couple wants to observe the ritual features when entering into a legal marriage, you can find information about the nuances of weddings, for example, about the ritual of matchmaking, which rarely occurs today. The fate of the young was completely in the hands ofParents. It was considered the norm that you need to tear the girl away from the parents' house, as soon as she was 12-13 years old. At the same time, no one was interested in the desire of the future couple. Most often, the boy and girl parents just announced their decision. Parents of the groom responsibly approached the choiceDaughter-in-law, collecting a family council, in which the next of kin and godfathers took part. Considered not only the dignity of the bride herself, but her pedigree. Although, among the common people, it was not customary to choose a girl from a well-to-do family. The newlyweds had to work for their own well-being for the family hearth. After selecting the bride, matchmakers went to her house in "easy»Day of the week, Tuesday, Thursday, Saturday orSunday, late at night or at night. Having crossed the threshold, it was necessary to take off the hat, cross the icons and bow to the masters. And then there followed a ritual, well known today: you have goods, we have a merchant. The bride's parents were to thank for the honor given to the matchmakers and invite their room to the table where the treat was hastily exhibited. However, the groom could receive and refuse in the formStreamlined phrase: our goods have not yet ripened. Sometimes the bride's parents asked for time to think. The vote remained with the girl herself. If the bridegroom is not nice, she went to her room and changed her elegant dress to a casual dress, and then returned to the table. In the case of the desired matchmaking, immediately passedTo the talks about the size of the dowry, the size of the masonry given by the groom's parents to the wedding celebrations, the estimated number of guests and gifts that the couple's relatives should exchange. 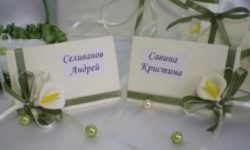 Modern wedding customs and traditionalCeremonies have lost a lot, excluding from the mandatory stages of matchmaking, collusion and scrutiny. 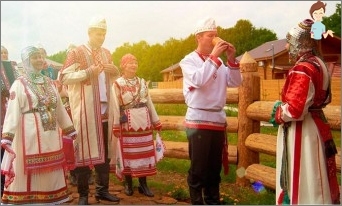 Perhaps, gradually reviving interest in national culture will allow in all magnificence to revive an original Russian wedding?